Jean Sifrin's March 30th 2015 Pro Day. Dan Malone reports Jean Sifrin improved most of his previous stats from the NFL Combine. Sifrin ran an unofficial 4.75, which was a full .1 of a second faster than his Combine time. That would have put him 3rd among TE's at the Combine. Matty Vautour reports on UMass players trying to impress scouts at Pro Day. Daniel Maynes did 35 reps in the bench press. Besides Sifrin, other UMass seniors and former players participated: Stanley Andre, Daniel Maynes, Quayshun Smith, Alex Kenney and Brian McDonald, former Minutemen Galen Clemons, Antoine Tharpe and John Griffin. WWLP gets the number of UMass players previously drafted by the NFL wrong, but reports on UMass Pro Day. The UMass Daily Collegian reports on Pro Day. Former UMass player E.J. Barthel has been named Director of Recruiting at Rutgers. Another story about Barthel's appointment here. 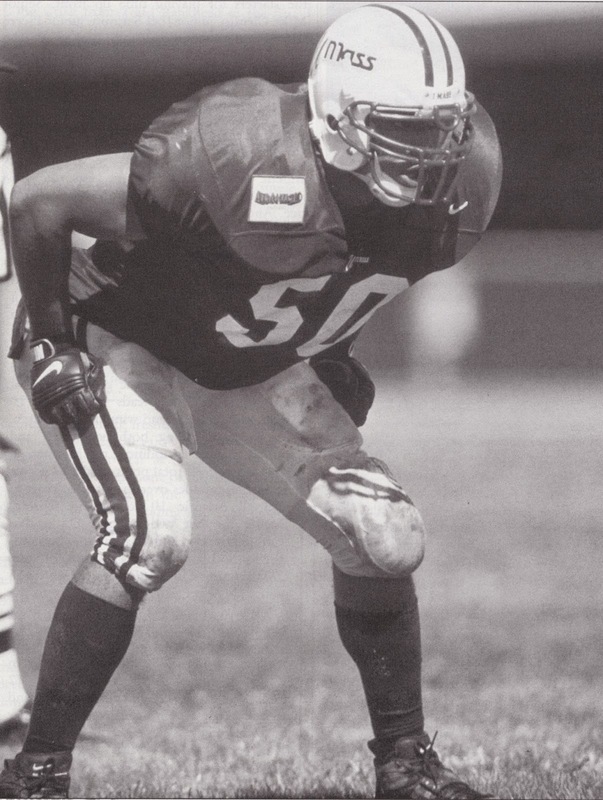 Former UMass player Tracey Belton is playing for the New Orleans Voodoo. NCSA Sports has some stats. 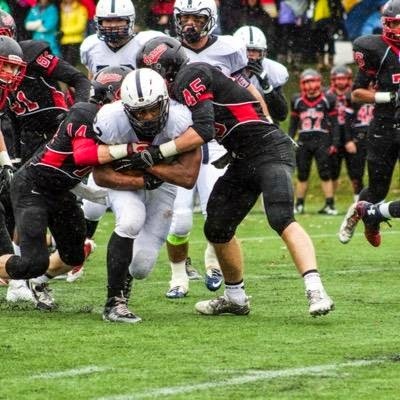 Besides UMass Carter has offers from Army and Troy. 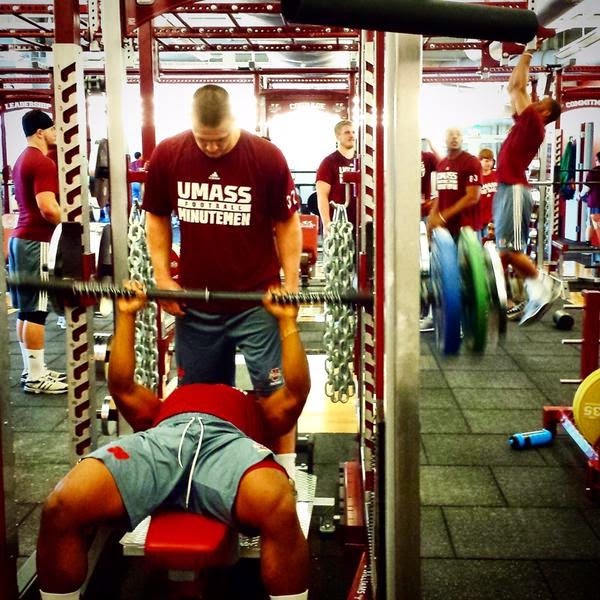 UMass holds its Pro Day today. 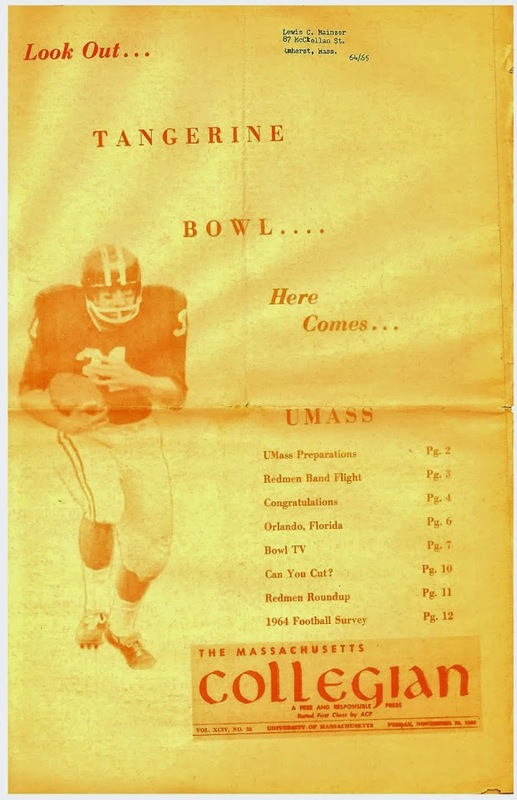 Hopefully, the UMass website will have some video and interviews. The Ralphie Reoprt says new talent for the Buffs should result in more wins for Colorado. ESPN says improvement for Colorado begins in the weight room. The Elkheart Truth gives its impressions of Notre Dame's Spring practice. Irish coach Brian Kelly is pleased with Notre Dame's pass rushers. Meanwhile, the Temple Owls are trying to make progress. UMass fans have bad memories of Old Dominion QB Tyler Heinicke, who started his first game against UMass and led the Monarchs to a 48-33 win. Old Dominion will have to get by without him this year. ESPN reports Victor Cruz may not be ready for the Giants season opener. I'm getting really sick of NCAA Tourney commercials. BTW, John Calipari is holding his own version of Pro Day. The UMass website has a video feature on new Minutemen special teams coach Mark Michaels. He also coaches outside linebackers. Let's hope he can make an improvement in what was a big trouble spot for UMass last year. The video shows him coaching the linebackers. Dan Malone reports that the last two games of the 2014 season left a bitter taste for the UMass staff and players. Matty Vautour has a story about incoming grayshirt freshman Lamarriel Taylor. Taylor's UMass bio. Taylor could be an impact receiver for UMass. He has FBS size at 6-3 185. This story from February 2014 features Taylor. 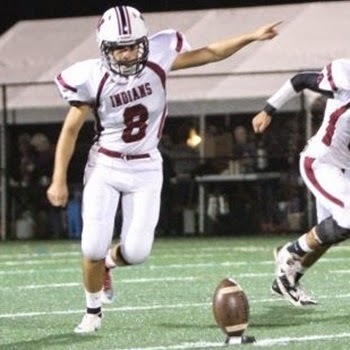 If Taylor has NFL dreams, he's in the right system with Whipple. It should be fun to watch his development. CBS Sports looks at five Group-of-Five teams that could crash the college playoffs. The NFL Spin Zone says the Giants are justifiably optimistic about the return of Victor Cruz. Tom Coughlin says Cruz will be back to the player he was. The BC Blog "BC Interruption" thinks the Eagles need an indoor training facility. 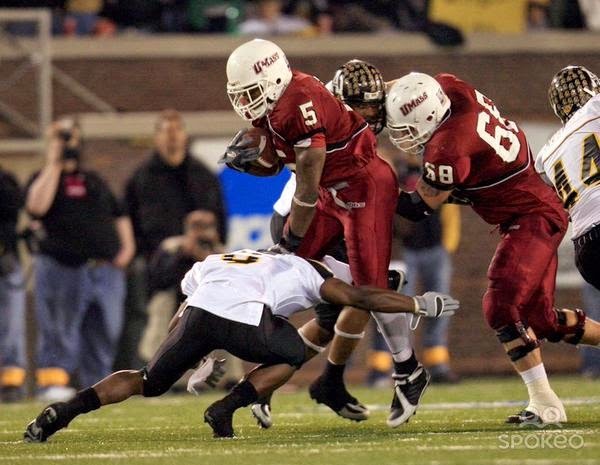 Remember when Steve Baylark ran over Montana to put UMass in the National Championship game? Matty Vautour reports UMass seniors want to build for the future of the program. Comcast Sports Chicago has a draft profile of Jean Sifrin. It has a video interview with him. Syracuse is looking for opponents in 2016. Campus Insiders looks at Notre Dame's 2015 schedule. Only 1% of Floridians root for Florida International. Bleacher Report features Toledo's Kareem Hunt. He ran over UMass to the tune of 26-198 1 TD. OT, but the Wall Street Journal has a couple of interesting sports articles. How good is Kentucky? Good enough so that the Cats don't bother with watching game tapes. BTW, a West Virginia player's prediction that the Mountaineers would upset Kentucky didn't work out. Remember North Dakota lost their nickname a couple of years ago? They still don't have a mascot or moniker . If you didn't watch Josh Maurer's interview with Ryan Bamford, you should. Most of the questions are about football and Bamford's responses are interesting. He said the same thing Coach Whipple said during his hire---- UMass has the resources to win at the FBS level. When talking about a conference Bamford says building the brand (meaning winning) is important our chances to get into a conference. He flatly says it's doable and I see no reason why he would say so in public if he felt it wasn't so. Dan Malone has a story about Blake Fronapfel's experience on the A.D. search committee. Matty Vautour has more quotes from Frohnapfel and Coach Whipple on Bamford's hiring. Bamforrd was congratulated by Michael Strickland and Bamford Tweeted back a joke about joining the ACC. Various media types yucked it up over that. And here. The Bloomfield Enterprise talks about Colorado's future schedule and spends a lot of time on the 2021 Buffs-Minutemen game. UMass gets a mention is this story by CBS Sports on who has the most returning starters for the 2015 season. Hustle Belt previews Kent State's 2015 season, and miracle of miracles, does not predict a win over UMass. Nj.com reports UMass has offered to A.J. Dillon, a 6-1 227 pound RB from Lawrence Academy on Groton, MA. 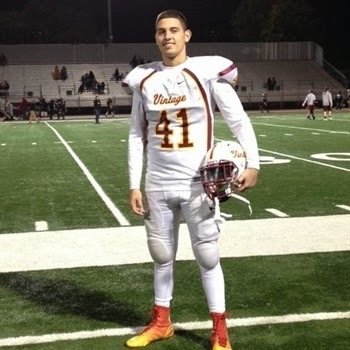 Boston College and Massachusetts are the first two offers for Dillon, who plans to take his time as a rising junior. Besides UMass, Dillon holds an offer from BC. Dan Malone has three impressions from Ryan Bamford's first press conference. Bamford says he's not going to shy away from the challenges inherent in the UMass football program. Chancellor Subbaswamy says Bamford is a marvelous fit for the athletic department. Matty Vautour reports Bamford will have a full plate issues to deal with. One positive thing about the timing is Bamford will be able to bring in two lieutenants. That should help balance the power of entrenched interests. Being able to have his own team should be a positive for him and for the department. The Boston Herald says UMass introduces its new athletic director. SB Nation previews 2015 OOC opponent Florida International. Former Buffalo HC Jeff Quinn is hired as a non-coaching assistant at Notre Dame. The Irish get three 2016 verbals. Speaking of Buffalo, the Bulls start their Spring practice with new HC Lance Leipold. Dan Malone says new UMass A.D. Ryan Bamford bring "intimate knowledge of FBS football". Dan also has quotes from Bamford's former bosses on his appointment as UMass A.D.
Matty Vautour reports Georgia Tech A.D. Mike Bobinski thinks Bamford will be "a great fit at UMass". Ramblin' wreck blog "From the rumble seat" comments. 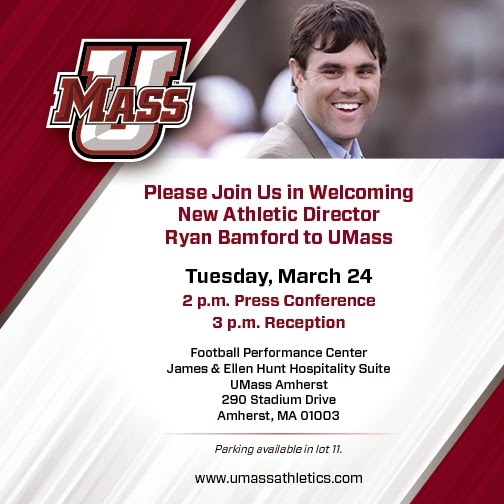 The UMass Blog certainly welcomes Ryan Bamford to UMass. I hope he is wildly successful in Amherst, stays six years and is then offered a multi-million dollar contract as A.D in a Power Five school. He really needs to shake things up at UMass. I hope he receives the support he needs from the school administration and from UMass alums. We are currently punching under our weight in a number of sports. I think UMass is one of the nation's top public universities. In athletics, we should be able to perform at the level of other Group-of-Five schools. 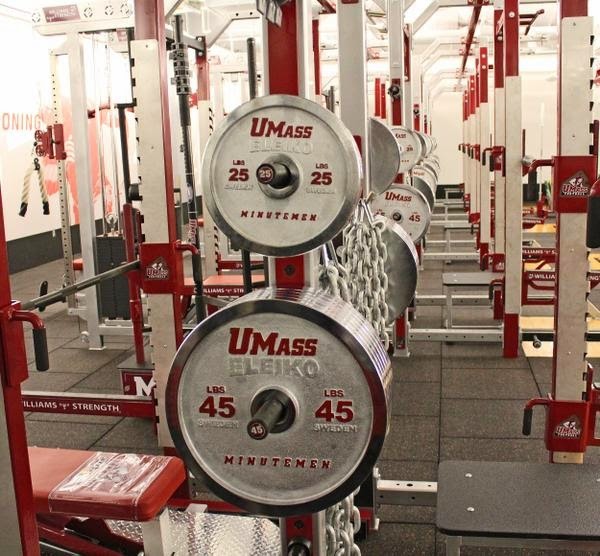 UMass will hold its Pro Day March 30th. Calls were made for UAB President Ray Watts to resign after documents indicate the school's press releases of the plan to cut UAB football were untrue. 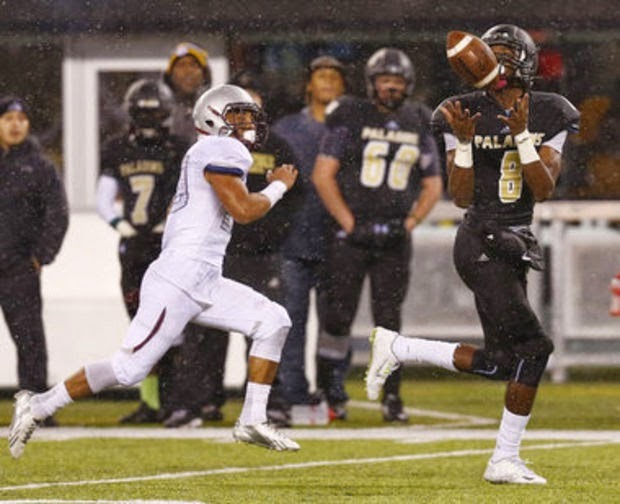 NJ.com reports UMass has offered to Donald Stewart, 6-4 180 pound WR from Paramus Catholic in NJ. This article from January 2015 features Stewart. Partial quote from a November 2014 story on Stewart from Scout.com. Stewart plans on making a bevy of official visits in the winter and spring, but a handful of school are already in regular contact with him. 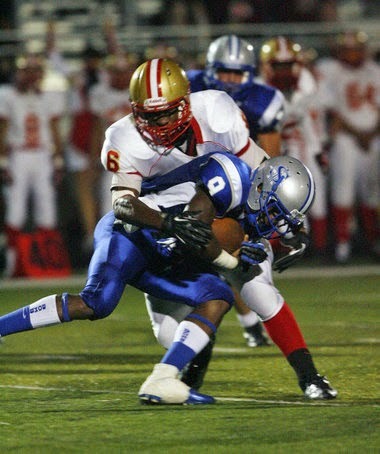 Stewart holds ten offers including Boston College, Temple, Syracuse and Rutgers from the Northeast. From the UMass football Twitter feed. Dan Malone reports, according to sources, Georgia Tech associate director Ryan Bamford has been chosen as the next UMass A.D.
Matty Vautour also has a post on Bamford. Let's hope Mr. Bamford provides the shot in the arm, the athletics department needs. The victim of an assault by yet un-named UMass football player is complaining that the player is receiving too lenient treatment. I don't condone any fighting. 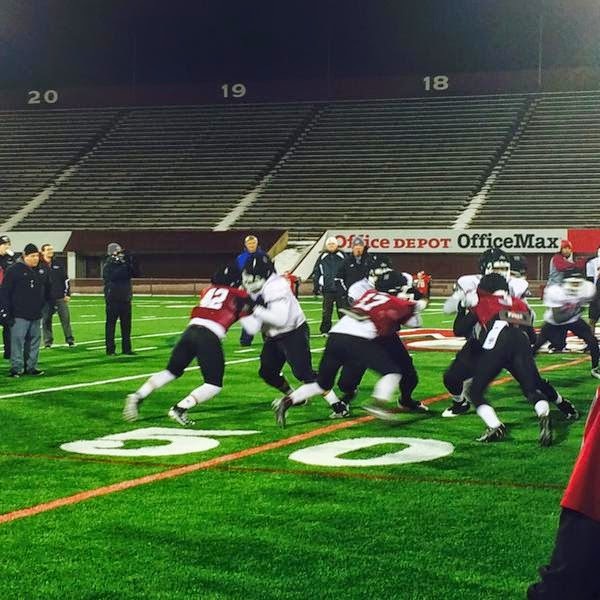 UMass football does not need anymore head winds than it already is experiencing. Keep in mind, however, that the linked article is only giving one side of the story. 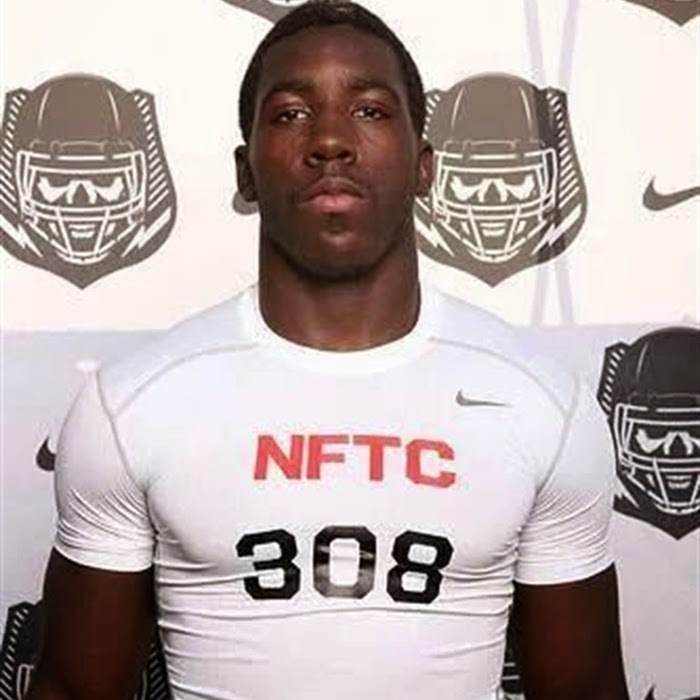 Miami (Ohio) signs a four-star defensive back. Forbes says college football players should be able to major in football. 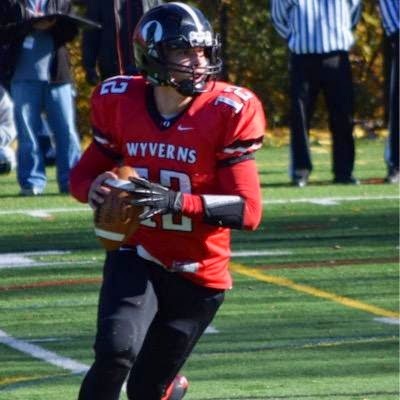 Newspapers report Jacob Hallenbeck, a 6-3 212 pound Pro-Style QB will visit UMass on April 11th. Hallenbeck has an offer from North Carolina. Drawing interest from Syracuse and UConn. UMass looses the 2016 game with Rhode Island. The Minutemen could end up playing two or more FCS teams in 2016. Matty Vautour says it's down to three candidates for the A.D. search. Matty Vautour points out with the change in the Rhode Island game, it would actually be easier to find an FBS team for a date earlier in the schedule, so it may work out to UMass' advantage. Tim Kenney explains his vision for St. Bonaventure athletic department. Central Michigan reports on their Pro Day. OT, but Coach Cal and the Cats are gearing up for Cincinnati (mentions UMass). 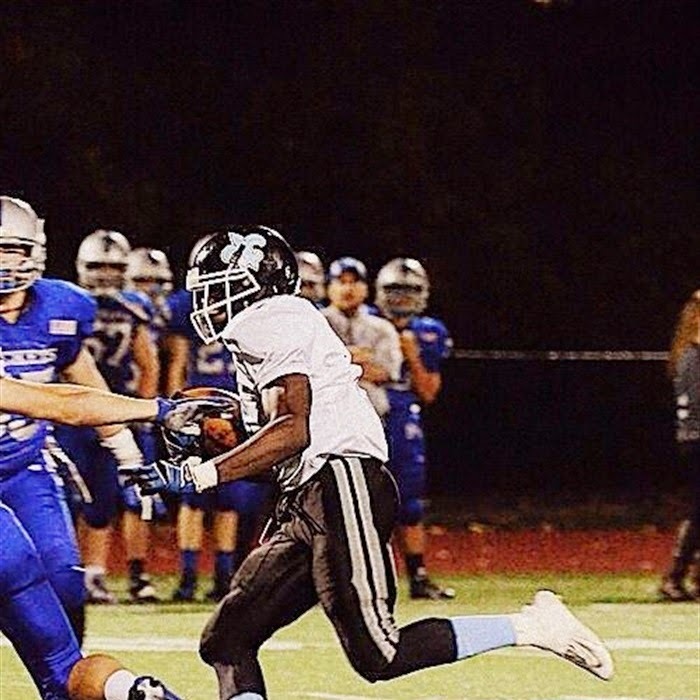 Several recruiting sources indicate UMass has offered to Phillip Patterson, a 6-2 170 pound WR from Bayside HS in VA. This article from 2014 features Patterson. "I plan on having my decision made before the season starts,” Patterson said. “I want to go to a place where I feel comfortable and somewhere my family likes as well. I also want to go to a school with a good combination of academics and athletics. Last season, Patterson had 403 yards receiving and five touchdown receptions on offense. Defensively, he finished 43 tackles, two tackles for loss and six interceptions." Besides UMass, Patterson has offers from Duke, East Carolina, Illinois, Navy, San Diego State, Virginia Tech and Wake Forest. It's Spring today! The vernal equinox happens at 22:45. There's also a total eclipse of the sun, but you've got be above the arctic circle to see totality. Lots of traditional celebrations for Spring: St Patrick's Day (sowing of peas in Ireland), Feast of Eostre (Saxon goddess of Spring) and Easter (first Sunday after the first full moon after the vernal equinox). It's 12 degrees in Jaffrey with snow showers later today. A Scout.com article reports on the free-agency of college quarterbacks and notes twelve teams started transfer QB's last season (including UMass). The Ralphie Report has a story about the Buffs Spring Game. Two Temple football players were charged with aggravated assault after an off campus fight. The Owls had their Pro Day Wednesday. Florida International's Spring Football guide. The Panthers started Spring practice yesterday. The SEC rules Notre Dame, BYU and Army as "Power Five" opponents. 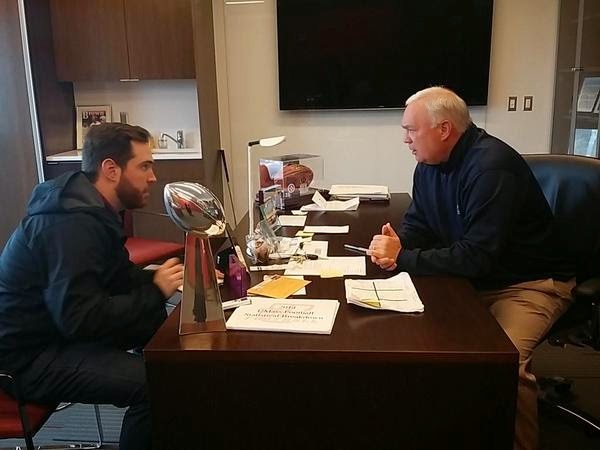 Boston College also held their Pro Day recently. There's a long Brian Kelly transcript about Spring football at Notre Dame. A PAC-12 blog ranks Colorado's OOC schedule. Derek Mason and Vanderbilt try to hit the reset button after 2014 (mentions the UMass missed field goal). Western Michigan has the toughest schedule in the MAC in 2015. USA Today looks at the Spring prospectus for the AAC West. Navy joins the AAC this year. Three Morgan State football players were stabbed on campus Tuesday. Back in 2014, he was a member of the Nike New Jersey All-Combine Team. This article from August of 2014 features Valentin. Valentin has an offer from Temple. Drawing interest from Syracuse. Matty Vautour writes that UMass will bring four A.D. candidates to Amherst for interviews this Friday. Three are listed in the story. The fourth is unknown. UMass sports really needs a shot in the arm. Let's hope the committee gets this one right. This article says Fiore did a lot as A.D. for Stony Brook. I've already blogged about Ryan Bamford. Green was involved in the facilities upgrade at Buffalo. Former UMass assistant coach Bryan Crist has been hired as wide receivers coach at Youngstown State. The Toledo Blade previews the 2015 Rockets. Victor Cruz says his recovery is going well. 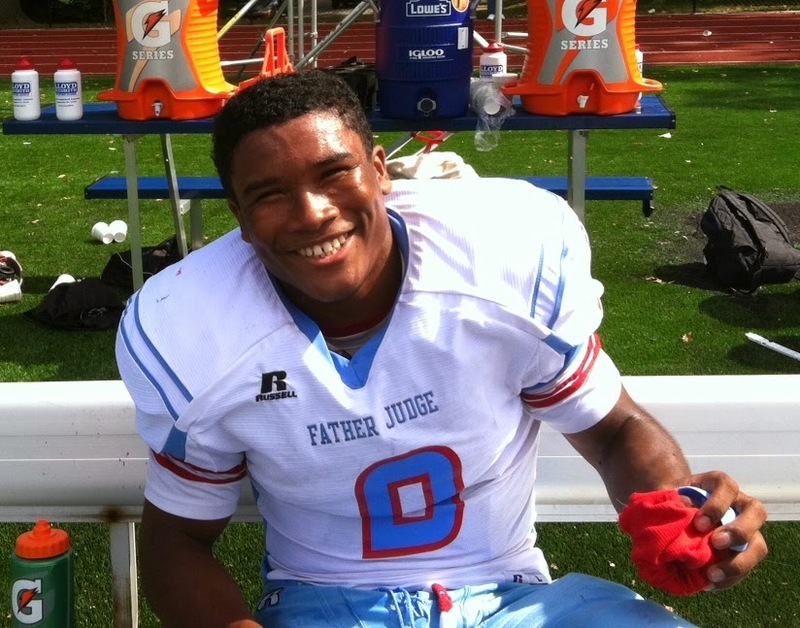 Several recruiting sources indicate UMass has offered to Yeedee Thaenrat, a 5-10 185 pound RB/DB from Father Judge HS in Philadelphia, PA.
NJ.com reports Thaenrat has overcome a lifetime of adversity. Besides UMass, Thaenrat has an offer from Rutgers. Drawing interest from BC and Syracuse. The Bears signed Vladimir Ducasse to a one year contract. Notice on the Bears' website. NorthofBoston.com has an article featuring Bob Goodhue. He talks about UMass football and the A.D. search. Former UMass QB Mike Wegzyn has left the Tennessee football team. 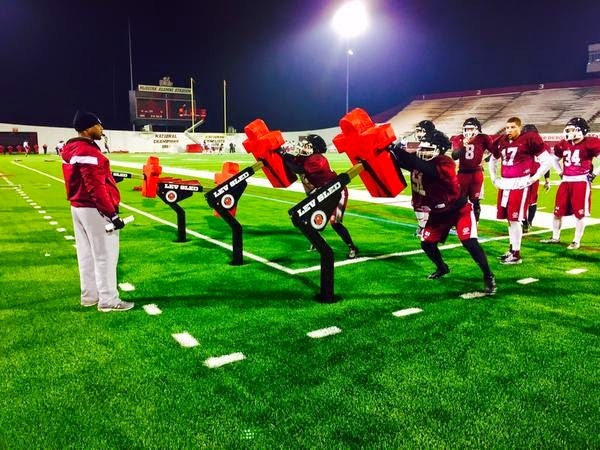 iSportsweb.com looks at Temple's 2015 season. The article has some info on AAC scheduling including splitting into two divisions and a conference championship game. RotoWorld has some comments by Scout.com's Kevin Weild about Jean Sifrin. Ball State will play Notre Dame in 2018. 2015 OOC opponent Colorado played its Spring Game Sunday. Three Buffs players are facing assault charges after a fight at a house party. Boston College cancels its Spring Game. UMass has a new version of the Spring Roster up. It has twelve new players for Spring ball. Most of them we've heard of, such as Randall West. Some, however, are new. Christian Appia LB from Edison, NJ. Three different sources list him as 5-11 235, 6-0 208 and Hudl has him as 5-10 203. Averaged 7.5 yards/carry according to MaxPreps. Boston Globe 2014 Phelps Scholar Athlete (includes some of his track times). Miami (Ohio) tries to build its way back to relevance. The Colorado Buffs are trying the same approach. 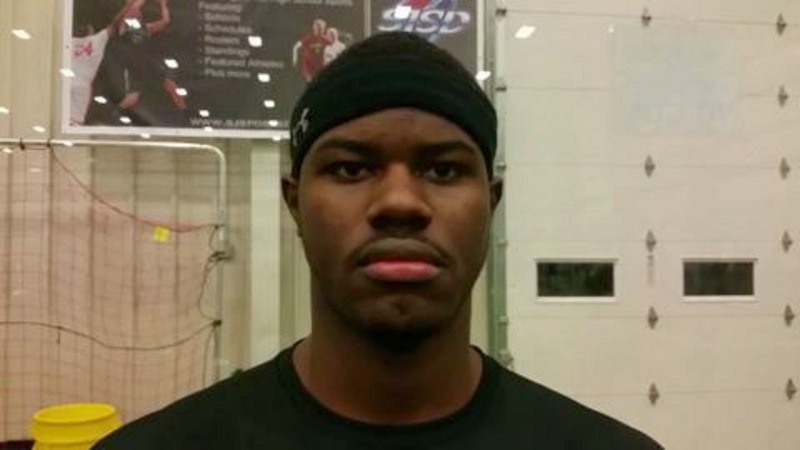 I've blogged about Tymir Oliver, a 6-3 265 pound DE from Philadelphia, PA before. This article from yesterday updates his recruiting. UMass has some video from the first week of Spring practice. SB Nation ranks UMass 10th in MAC for the 2015 football season. MassLive says the next UMass A.D. will face challenges. Former UMass player Stephen Dembowski leave Swampscott for Milton. 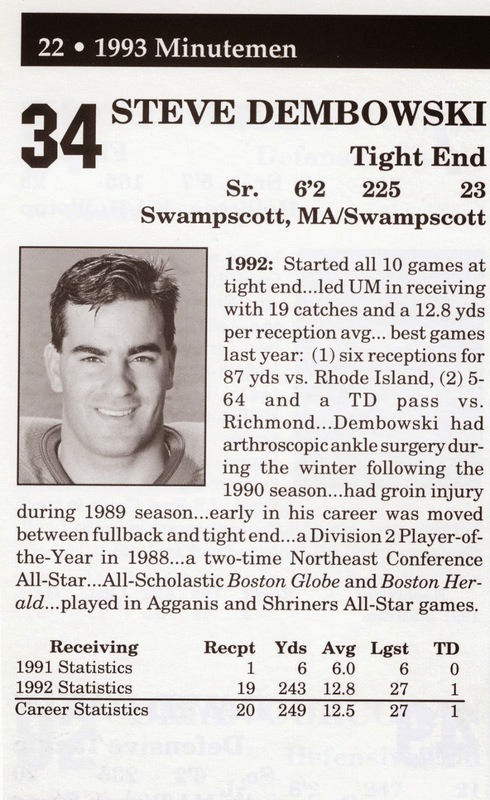 Dembowski lettered for the Minutemen in 1991, 1992 and 1993. The search committee hopes to have a new UMass president hired by the end of June. The Hartford Courant reports AAC commissioner Mike Aresco says the AAC is not actively looking for expansion. FBS Schedules ranks the 2015 schedule difficulty (UMass is #126). Another 2015 toughest schedule, this time by Phil Steele. Lost Lettermen show 50 mind-expanding helmet designs. 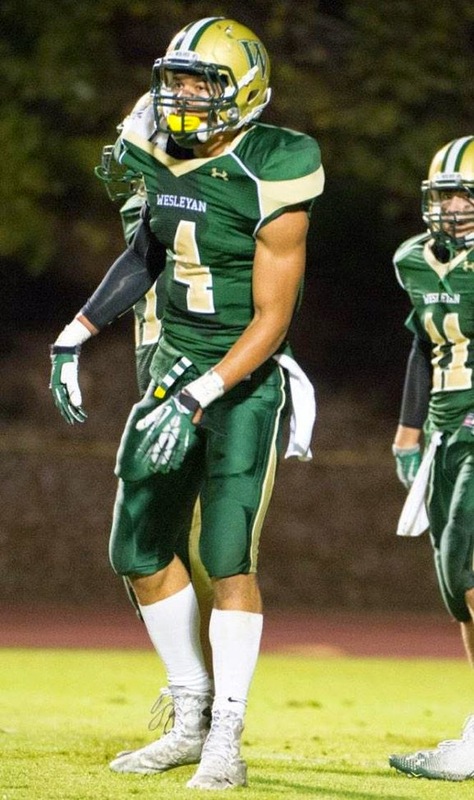 The Napa Valley Register reports UMass is showing interest in Jordan Greenlee, a 6-4 235 pound DE from Vintage High in CA. Greenlee has offers from three FCS schools including Harvard. Besides UMass, Greenlee is drawing interest from Arizona, Colorado State and San Diego in FBS. The warm weather lasted one day. SB Nation previews the Toledo Rockets. UMass plays at Toledo on October 25th. The Buffalo Bulls have their Pro Day. The Dallas Morning News looks at Miami (Ohio)'s Quinten Rollins, the MAC defensive player-of-the-year. Victor Cruz gets a philanthropy award. A UMass professor is a member of the CARE-FC organization designed to support college athletes “who seek relief from the fraudulent business practices used by college sport organizations” and educate policy makers about “exploitative” college sport industry." 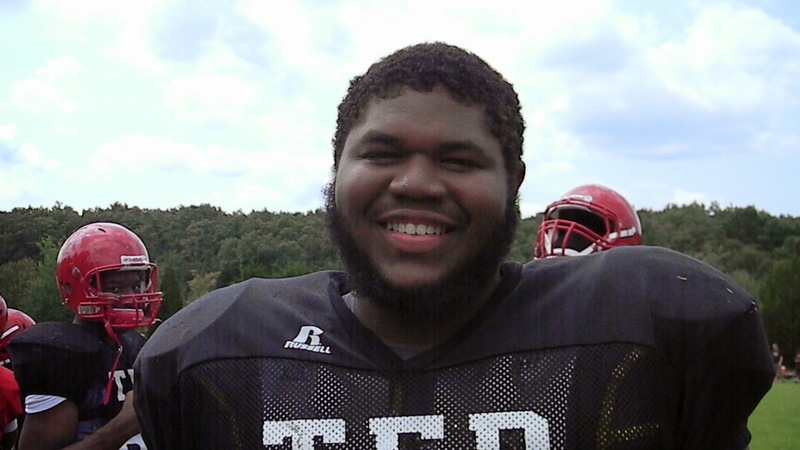 Several recruiting services report UMass has offered to Shamar Hardin, a 6-3 335 pound OG from Elkton, MD. Was 2nd Team All-State in 2014. The Honeybadgers standout said he isn't in a rush to make any decisions, but when he does, he will be considering a few key pieces of criteria. "I am going to consider a lot of things when it comes to my decision," Hardin said. "The biggest will be good academic support, and I am looking for a place that feels like home and I feel welcome." Besides UMass, Hardin holds offers from BC, Buffalo and Temple. A Bleacher Report writer ranks Notre Dame's schedule and expects the Irish to "roll easily". New Buffalo HC Lance Leipold will earn at least 400k a year. SB Nation previews NIU and says they're still king of the MAC until proven otherwise. Ohio.com says Kent State is not looking to cut sports. Western Michigan is still rolling in recruiting. Their 2016 class is rated #15 in the nation, so far. The Ralphie Report thinks the Buffs are making progress on defense. Temple gets a Pitt transfer. 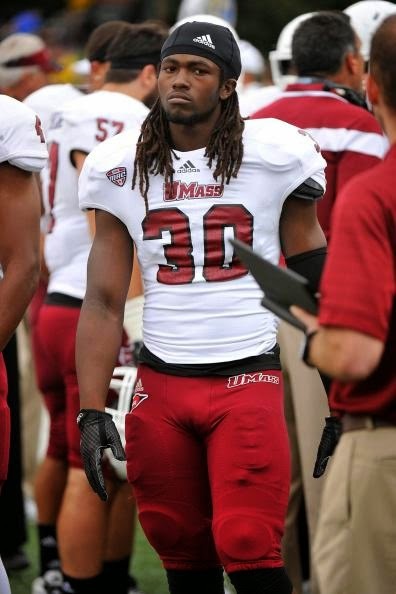 If that name sounds familiar, UMass recruited Jennings back in 2013. Can Junior achievement lead Notre Dame in 2015? 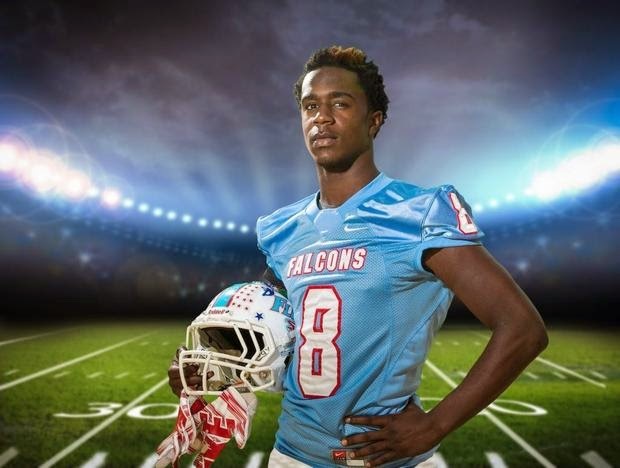 Several recruiting services report on February 17th, UMass offered to Jordan Mack, a 6-2 182 pound Safety/Athlete from Wesleyan School in Georgia. This article from December 2014 features Mack. "Georgia Tech and Boston College are the two schools that Mack feels are recruiting him the hardest. I really have close bonds with Coach Roof at Georgia Tech and Coach Washington at Boston College." Besides UMass, Jordan holds offers from BC, Georgia Tech and Georgia State. The UMass Spring roster does not have jersey numbers for the Spring enrollees, but does have (at the end) the 2015 recruits and Spring arrivals. 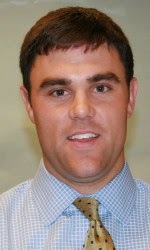 Matty Vautour reports Associate UMass A.D. Tim Kenney has accepted the A.D. position at St. Bonaventure. As Matty points out, with Kenney and former Deputy Athletics Administrator Jaime Seguin gone, the new A.D. should be able to install his own people. That should make the position more attractive as the new A.D. will not be dealing with entrenched interests. The MAC Blog Hustle Belt looks at the MAC NFL Combine results (including Jean Sifrin). Notre Dame starting senior OL Matt Hegarity has announced he will play his fifth year at another school. A Bleacher Report writer thinks 2015 MAC opponent Ball State will have a big improvement this year. 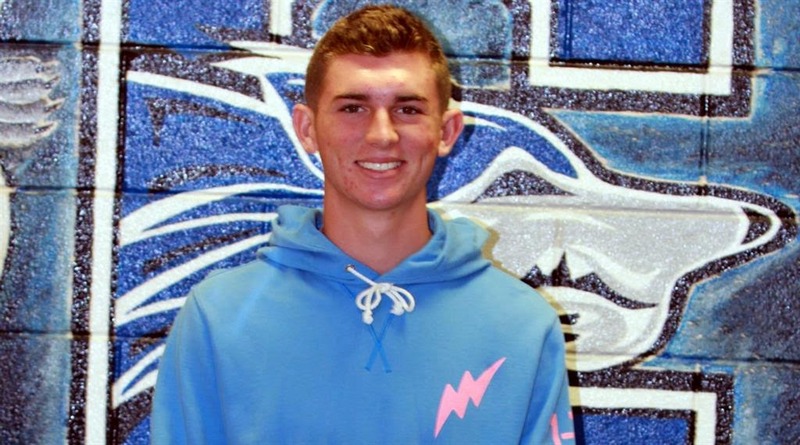 Several recruiting services indicate UMass has offered to Mason Moran, a 6-2 180 pound QB/Safety/Athlete from Chandler, AZ. This article from September of 2014 features Moran. 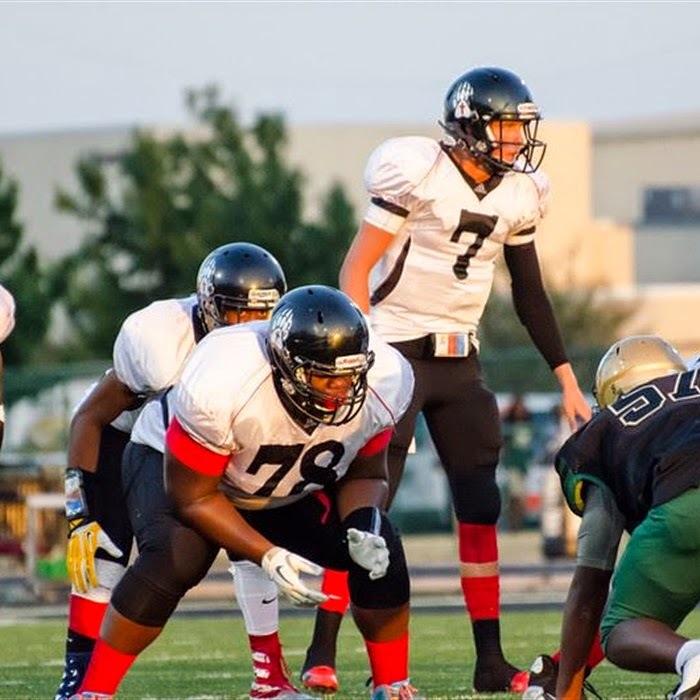 "Moran has already picked up offers from Massachusetts, Boston College and Colorado. He listed that three programs are pushing for hard him early on. Matty V. has an article on the search for a new A.D. He mentions Georgia Tech associate A.D. Ryan Bamford. Bamford's Georgia Tech bio. Wikipedia entry. Handled football scheduling for the Ramblin Wrecks. Matty also mentions former Rhode Island A.D. McElory's Rhode Island bio. This thread talks about him leaving Rhode Island. This article covers McElory's joining the Leffer Agency. SB Nation previews Akron. We get the Zips at home on November 11th. They're one of the games we'll have to win to make it to a six-win season. SB Nation previews Ball State. The NCAA bans cropped jerseys and "Mad Max" style helmet faceguards. CBS News covers a new treatment for knee injuries. It may hit 50 degrees this week! We should have a pool on when all the snow will be gone. Dibs on August 5th. 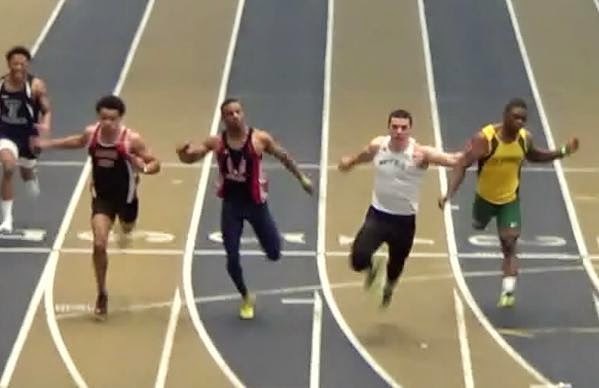 UMass recruit Andy Isabella won the State of Ohio Division I 60-meter dash with a time of 6.80. A Ball State writer does the same thing for Ball State and predicts another win over the Minutemen. 2015 OOC opponent Florida International adds a defensive coach. USA Today says Appalachian State and Georgia Southern are rising fast in the Sun Belt league. OT, but John Calipari and the Kentucky Wildcats are celebrating a 31-0 season. Calipari has some quotes about UMass in this article. "It's neat. What they're doing is honoring that grouping of players in the 90s. I've gotten a bunch of calls from those guys and if you've ever started your first company, then it's your baby. It was all of us coming together as a staff and more about that than me specifically, but I do appreciate it. I'm honored. My daughters went to school there. It's where we raised our children. That's our home and we still consider it that. My son went to a prep school that was 10 minutes from there and he wasn't even born up there, but he still wants to be near UMass and Derek Kellogg. It's a neat thing." UMass fans should take a high blood pressure pill before reading this piece by Dan Shaughnessy: UMass is making a big mistake honoring John Calipari. That article takes pettiness to a whole new level. Victor Cruz tells Odell Beckham to watch out for Media. Sports writers wouldn't be vain, petty and carry a grudge would they? 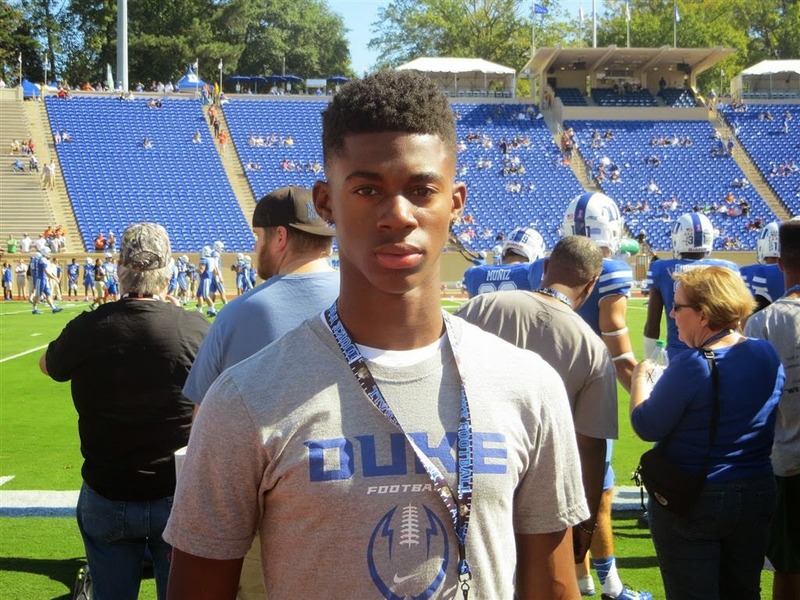 I've blogged about Denzel Johnson, a 6-2 187 pound Safety/Athlete before. This article from March 5th, says UMass is still interested in Johnson. This article from December 2014 features Johnson. Dan Malone has five things to watch during Spring practice. There is a pretty good level of talent in the 2015 Spring enrollees. Being with the team and in a college weight program increases their chance of contributing in 2015. 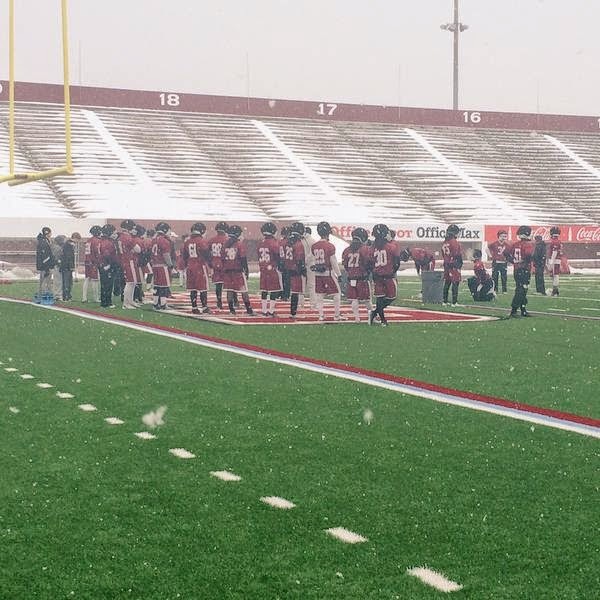 UMass starts Spring practice today. Matty Vautour has a post on Whipple's take on the start of practice. It was 10 Degrees here in Jaffrey when I got up. The weather is supposed to moderate this coming week, so practice should be more pleasant. Matty also says Blake Frohnapfel might get fewer reps in order to give more attention to A.J.Doyle, Austin Whipple, Ross Comis, Randall West and Andrew Verboys. Five new Minutemen will take part in Spring parctice: Randall West, wide receiver Lamarriel Taylor, RB Marquis Young and transfers Tom Rodrick and WR Darren Josie. The roster has not yet been updated to show the additions. Mark Blaudschan reports the Patriots are interested in producing a bowl game. He also says interviews for the UMass AD position will start today. SB Nation previews two of UMass' 2015 conference opponents : Akron and Bowling Green. The NCAA dropped the hammer on Syracuse yesterday. Everyone was expecting Syracuse hoops to be sanctioned, but I did not realize Syracuse football was also involved. Statement from the NCAA website. UPDATE: CBS Sports has what it means for Orange Football. The Big Ten Network says Keith Dudzinski is one of six key coaching changes in the Big Ten. UMass Athletics announces the 2014 UMass Hall-of-Fame Class. Dan Malone has a short post on the announcement. One of the inductees is Koli Ayi. Click on the images below and Blogger displays a larger view. 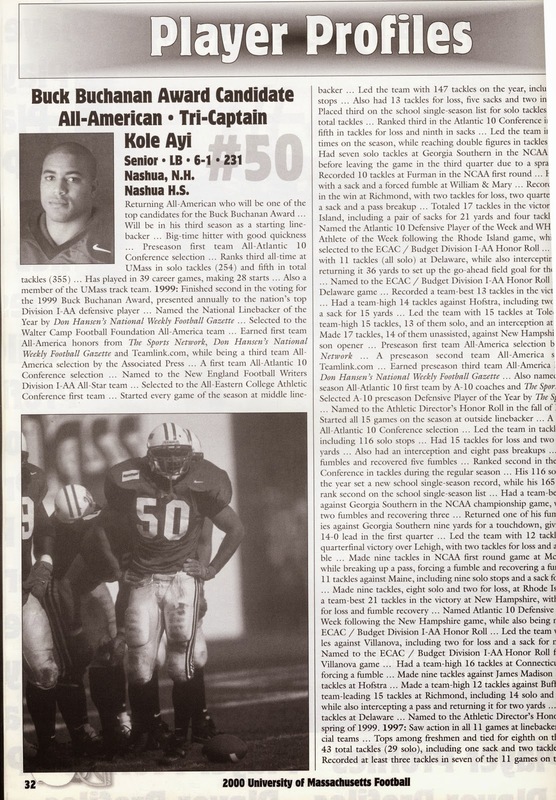 Ayi was a big part of UMass' 1998 National Championship. Georgia Southern found out in their first series when they tried the option pitch and found Ayi between the QB and back. He knocked down the pitch and recovered for a TD. Ayi had 16 TT, three fumble recoveries and two FF in the championship game. Meanwhile, Blake Frohnapfel, a potential Hall-of-Famer himself, is getting the most out of time at UMass. 2015 OOC opponent Colorado is demanding more of its defense. At Notre Dame, there was Charlie Molnar, Jeff Quinn and now Mike Stanford. USA Today talks to Victor Cruz about recovering from his injury and co-existing with Odell Beckham Jr.
Whipple gets interviewed by ESPN about Jean Sifrin. Keith Dudzinski, now defensive coordinator at Maryland, switches the Terps to a 4-3. USA Today has a MAC Conference Spring prospectus. They do the same for Conference USA. Fan Sided says NIU should be in a Power Five conference. Berry Trammel says a cold weather college football championship game is unlikely. Victor Cruz updates his recovery process. Victor hopes to be 100% by May or June. 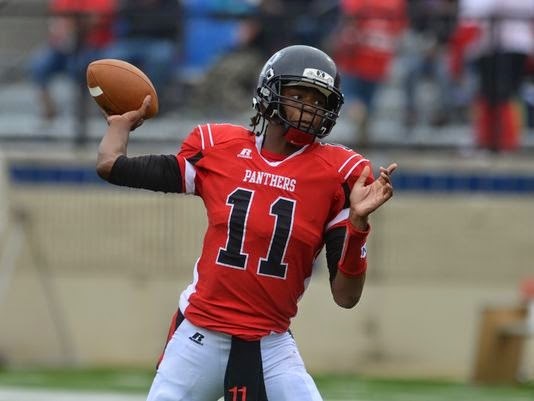 Several recruiting services indicate UMass has offered to Keondre Wudtee, a 6-4 185 pound Pro-style QB from Parkway HS in Louisiana. This article from August 2014 features Wudtee. Wudtee bounced back to throw for 289 yards and a touchdown, while rushing for 34 yards and two touchdowns. He looks very good in his drops, sets his feet well, and delivers the ball with great velocity when given time in a clean pocket. Wudtee can improve on the consistency of his release and spin, but the tools are there to be a high-major quarterback. As a runner, he's more of a long-striding galloper than a start-and-stop elusive guy, which makes sense considering he's 6-foot-4, 184 pounds. Besides UMass, Wudtee has offers from Houston, Louisiana Tech and Louisville. The Boston College blog "BC Interruption" looks at the three New England FBS teams and concludes the Eagles are better. 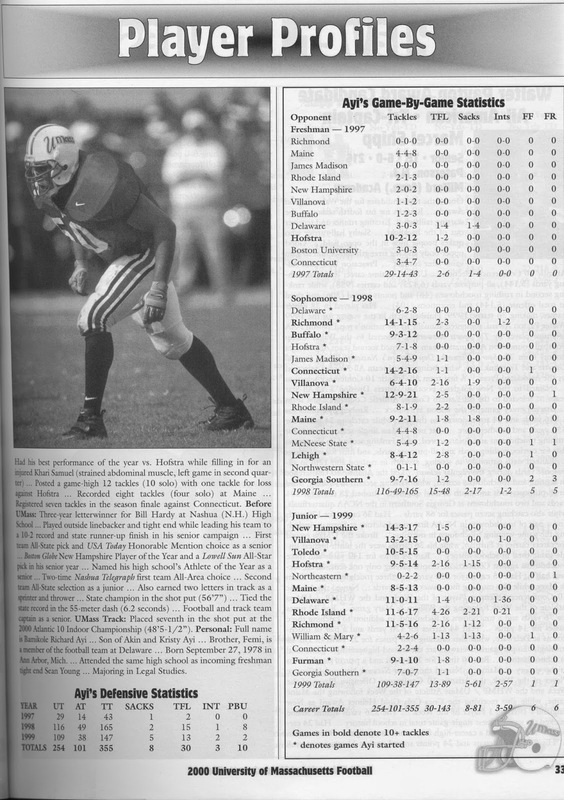 Remember commentators would always mention linemen when discussing the FBS-FCS divide? Phil Steele has the top 150 incoming offensive and defensive linemen for 2015. Unless I missed it, all 300 signed with Power Five conferences. SB Nation continues its 2015 previews with MAC East team Ohio. SB Nation also says regional NFL Combines are a low budget equivalent of American Idol. ESPN report at least 14 cities are considering bids for future college football championship games. Victor Cruz wants you to eat your veggies. James Ihedigbo wants Nadmukong Suh to return to the Lions. 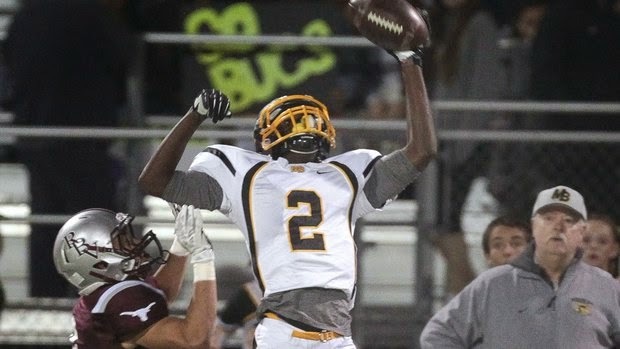 247Sports article says Mensah will attend the UMass Junior Day on April 11th. This article from May of 2014 features Mensah. 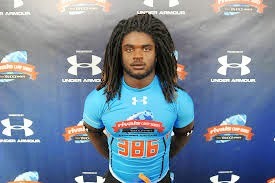 No offers yet, but receiving interest by Arizona State, Florida State, Ohio State, UConn and others. College football guru Phil Steele has the Top 150 incoming RB's in 2015. He has Sekai Lindsay as #74. That's his top rated RB not only in the MAC, but in the entire Group of Five. Hustle Belt post on Lindsay. 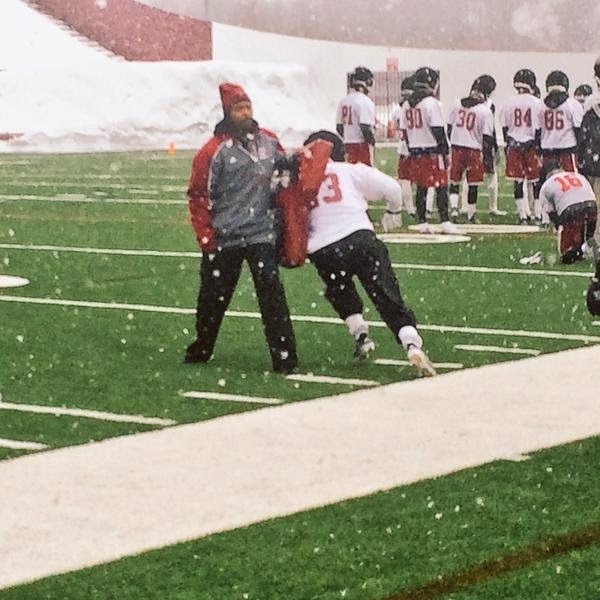 Northern Illinois opens Spring drills today. HC Rod Carey talks about Spring ball. The Northern Star grades the Huskies schedule, including a road trip to Boston College. SB Nation previews Kent State for 2015 (and thinks the Golden Flashes biggest game is at UMass on October 17th). Ball State has four home games in October, including UMass on October 31st. Lots of potential recruits in Louisiana. See articles here and here. Maybe Artayvious Lynn won't be our only Louisiana player.